Corey Odell is the Sustainability Coordinator at Odell Brewing. 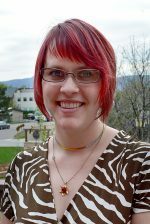 Corey grew up in the beer industry and started working at Odell Brewing while earning her ecology degree at the University of Colorado. Her love for the company and passion for sustainability came together in 2014 when Odell Brewing created a new Sustainability Coordinator position. In her role, she has focused on everything from waste management to data analysis and participates in local committees including the Northern Colorado Renewable Energy Society, the Poudre River Forum Committee, and BreWater which brings local breweries together to talk about water. Outside of work, Corey enjoys gardening, hiking, cooking and hanging out with her dog.